Being denied access to the web page you wish to visit with a 404 error is very annoying. Hence, a professional web design of 404 pages is important when you need to guide your visitors away from broken links or missing pages. Users generally do not readily understand what a 404 page implies. Some might simply assume that the website is not ‘working’ and browse away. So, when you design 404 pages for your website, make sure that you put yourself in the user’s shoes and make them more usable. Default 404 pages are not very helpful for the user. Many times they only provide an option to go back to the previously loaded page. If the user lands on your page from an outside link, then he is left with only one option – to close your site and look for something else. When you implement 404 pages, the key trick is to make sure they are in accordance with your site’s original template design. Also, keep the basic structure similar to the remaining site. 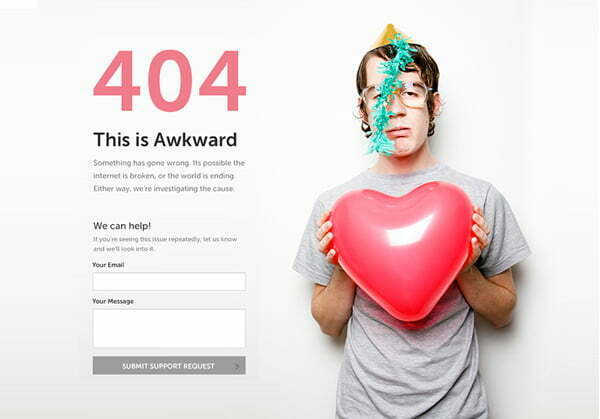 When a 404 error looks completely different, the user gets confused and might leave your website entirely. It’s a good idea to keep a recognizable banner or logo and a easily understandable message. The page should be designed such that it does not intimidate the user. Once they encounter an error, immediately provide a means to find a solution. You could add a simple search box or the link to some other relevant pages on your website. The key is to keep it simple and not overwhelm the user with options. The main reason for a 404 error is to guide the website visitor to the right place. You can effectively offer users with an option to search for that they are looking for or provide a few links to other pages on your website, so that they remain on your website and do not browse away. When you display an error message, the user is already overwhelmed! So, make sure that the message you display is in simple language and not complicated error codes that are used in programming languages. A user is only interested in knowing ‘where should go next’. So effectively provide only that information. Finally, 404 error pages are important, but make sure that you convey the message in a way that users understand it and know where to go next! If you are looking for professional web maintenance services, you are in the right place! Click here for more information.